While cows are easily spotted on Bangalore’s streets, the only elephants I saw were Ganesh figures on taxis’ dashboards. Saw the quintessential California highway stereotype last week in San Diego: a blonde in a convertible with her lapdog on her lap. Priceless. Caught this pug in a pensive mood as it meandered through the house. 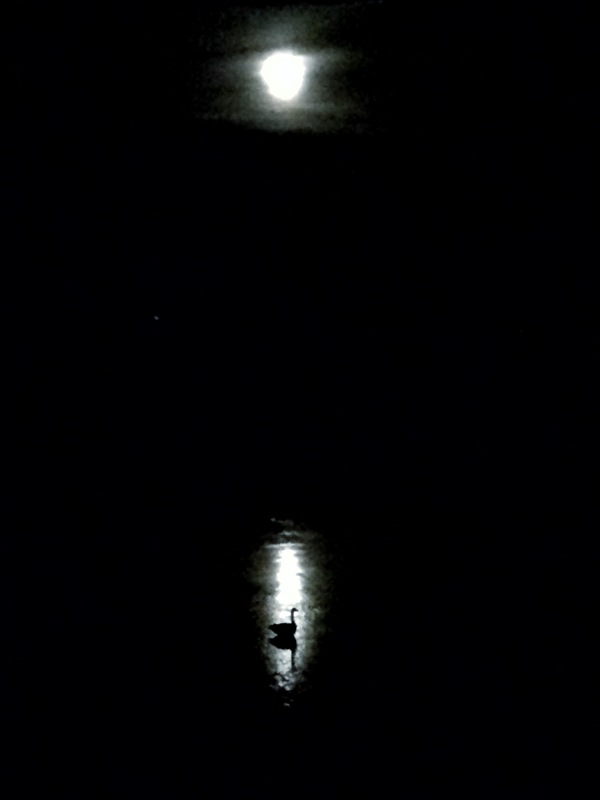 Caught this duck enjoying the moonlight over the salt marsh behind our house.